One of the benefits of an extended stay in a luxurious residence is that it can feel like your family’s home away from home. 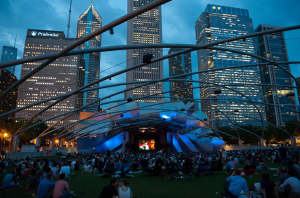 If you’re looking for something unique to do this Father’s Day, Chicago has endless possibilities for a memorable experience. From fine dining to personal shopping, you can make your dad’s day truly special. Dads love steak and if you’re looking for the most prime cut around, Swift & Sons is the place to go. 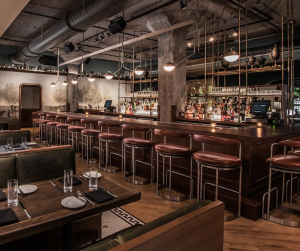 Voted the #1 steakhouse in Chicago, Swift & Sons is located in a luxurious building that mirrors a turn of the century old boys’ club. Their house special beef Wellington for two is guaranteed to be worthwhile. 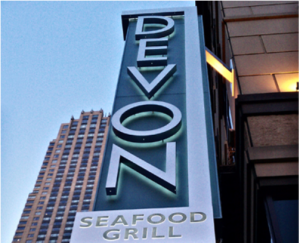 With an expansive selection of fish and steak downstairs and the Oyster Bar upstairs, Devon Seafood Grill hits the spot for fine seafood and drinks. Offering a three course special for Father’s Day, your dad will have a grand time dining on everything from Mini Lobster Rolls to Firecracker Shrimp. If you want to experience one of Chicago’s best views, then look no further. 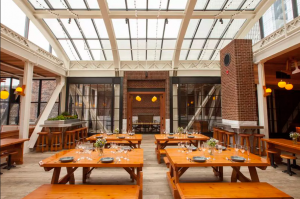 Cindy’s Rooftop presents a relaxing environment where you can grab a drink and enjoy a panoramic view of Millennium Park, Lake Michigan, and other corners of the city. If you fall in the mood for exquisite dining, then grab a seat and join the staff to have dinner in the sky. 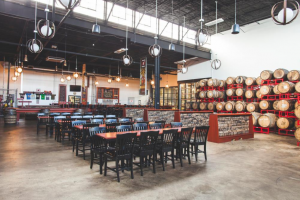 Located in Avondale just off the Kennedy Expressway, Revolution Brewing is the largest independently owned brewery in Illinois. They offer a wide selection of IPAs, lagers, and seasonal drafts which you can drink while sitting and chatting in their tap room. You can also join one of their complimentary tours of the brewery, a perfect activity for the beer lover in your family. If your father loves neighborly bars, then he’ll enjoy this spot just off the Sedgwick Brown Line. 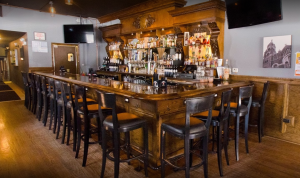 The Sedgwick Stop features craft beers, large whiskey selections, and friendly service. Everyone who stops off for a drink is sure to feel at home. 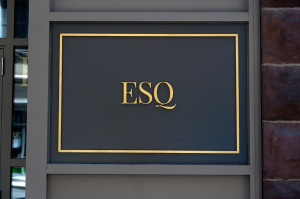 For the best custom suit in Chicago, ESQ Clothing has you covered. 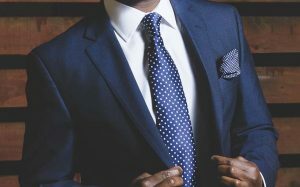 Located in the West Loop, ESQ tailors handcraft suits to your specific needs. Select from over 40,000 variations of fabrics and they will design the perfect garment for your unique personality. Perfect for men on any budget, these personal shoppers will pre-select items based on your size and taste when you call ahead to make an appointment. Once you show up to one of their locations, they will help you select the right outfit for any occasion. A Sharp Dressed Man also offers discounts for new clients. 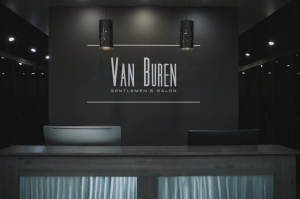 If you really want to pamper your father, Van Buren Gentleman’s Salon offers everything from shoeshines to pedicures. Located on the edge of downtown’s financial district, they provide quick service and complimentary cold drinks because they know the modern man has things to do and places to be. 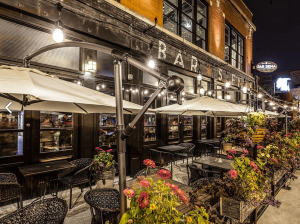 Located in the heart of Chicago’s Restaurant Row, Bar Siena is a two story restaurant inspired by Italian street food. Brought to your table in small portions, their meals are intended to be shared among your family for a truly authentic Italian experience. 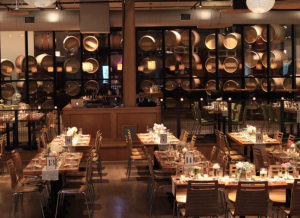 If your father is a wine connoisseur, bring him to City Winery. Here he can indulge in a fine dining experience accompanied by live music from some of the greatest songwriters known today. Spanish for “master of distilling rum” Ronero, is a new Latin restaurant specializing in rum cocktails. 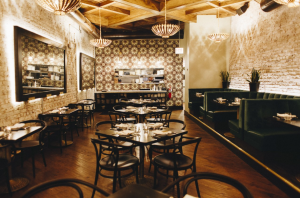 For a refined yet casual experience, their menu boasts impressive dishes centered on South American cuisine such as empanadas, lechon (cured pork belly), and pescado frito (Columbian fried whole red snapper). For the full list of restaurants and activities featured in the festival, click the link here. Visit the city of Chicago’s full website for more information.